Tell us about your new tour? Well, it’s my FIRST tour as Bloom promoting the new EP! I will be supporting the incredible Aviida on their Australian Tour over for the Melbourne and Sydney Shows. I will get to play my songs acoustically completely stripped bare of the electronic elements, gives the songs a totally different feel and I can really tell the story so I am looking forward to that! I am super excited to sing songs of 2 artists I look up to as writers, I love both of their vocal tones & phrasing, the songs are fun, the band is smokin’ and it is a fun project.. I will also play a taste of my originals so i am really looking forward to it! I would say my Bloom project is my favourite because I can really hear how I have grown as an artist. I am beginning to “love” the sound of my vocals & I really enjoyed writing and recording the album. BUT my first collaboration was with a DJ in Florence. I flew over to record & film the video clips (at Roberto Cavalli’s sisters house) That was pretty incredible too! Previous to this original journey I was in the cover scene, there was this one Wedding where the organiser forgot to tell me that I had to learn the bridal waltz. It was a song I had never heard before and I had about 40mins to nail it before getting on stage… I did it! But I couldn’t remember it now… phew! Heavy topics, love, loss & death. I’m a DnM kind of person anyway, bubbly, but I like to peel away the onion layers and find out about peoples stories. I like to write about topics people don’t often talk about until you get to know them. I then love hearing from people around the world telling me how my music helped them through some of their darkest times, that inspires me. Bloom is an emerging Australian singer/songwriter gaining acclaim for her smooth deep vocals and her fresh ambient pop sound. Although she finds inspiration in artists such as Banks and Lana Del Rey, Bloom ultimately covers ground that is uniquely her own. She draws deep into the human condition to explore stories of loss and despair in an uplifting way that foregrounds hope and an appreciation of life stripped bare of the mundane and superficial distractions of everyday life. These themes are universal in their appeal. Bloom’s collaborations with Swedish DJ/producer, number one on the weekly charts on radio Danz in Florida and a strong performance on the Beatport charts attest to a growing international appeal. 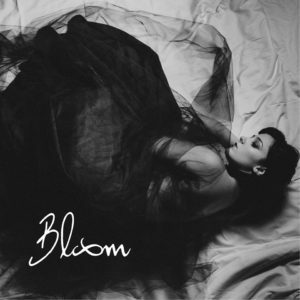 In November 10, 2015 Bloom released her debut EP. With national & international performances to rave reviews under her belt, Bloom is primed for the next step – 2016 Australian Tour. Take the journey with her.